Travel to the U.S. has been on the decline ever since President Donald Trump took office, and new data from the Commerce Department shows the slump translates to a cost of $4.6 billion in lost spending and 40,000 jobs, according to an analysis by the U.S. Travel Association. The latest data shows a 3.3 percent drop in travel spending and a 4 percent decline in inbound travel. The downturn has also caused America to lose its spot as the world's second-most popular destination for foreign travel, ceding to Spain. (France is in first place). International tourism to the U.S. began to wane after Trump took office, leading to a so-called "Trump slump." 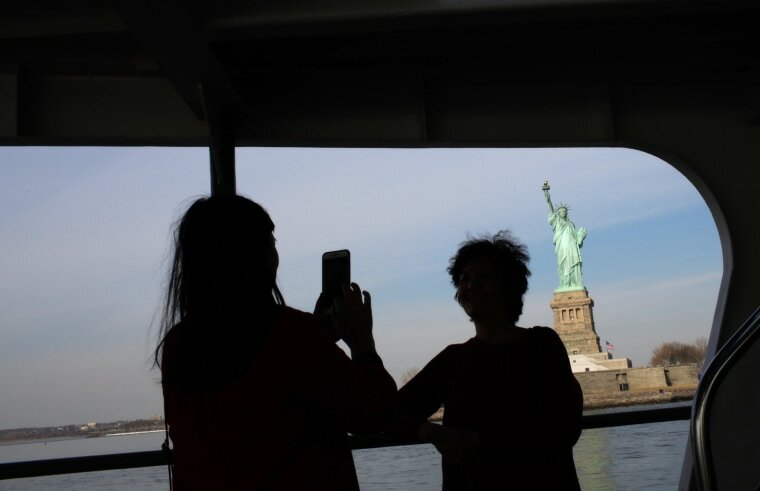 Experts say that Trump's proposed travel bans, anti-immigration language, and heightened security measures have had a negative impact on the U.S.'s attraction for foreign visitors. "While the U.S. government has been the source of a lot negative media attention this year, the travel industry must continue to stand for open borders, inclusivity and the celebration of diversity," said Leigh Barnes, the regional director for Intrepid Travel, in an email. However, he said, "We are optimistic that this trend can and will turn around."